Basel (Switzerland) - March 21, 2019 - (travelindex.com) – Baselworld 2019 officially opened with a clear signal that it is heading towards a modern future. The ceremonial “Ribbon Cutting” was held this morning in Hall 1.0 to the Alphorn tones of Swiss musician Eliana Burki. The musician is renowned for her unconventional use of the alphorn in the funk, pop and jazz songs, symbolizing Swiss traditions in a contemporary form. Michel Loris-Melikoff introduced himself to the audience as an industry novice with many years of experience in event planning and implementation. During his many trips over the past nine months, he noted that this sector was very special and that the show had global significance. But also that “our industry is undergoing a radical upheaval due to digitalization. This is a fact that presents us with completely new challenges.” The motivation for the new Baselworld team is to fundamentally transform the show. 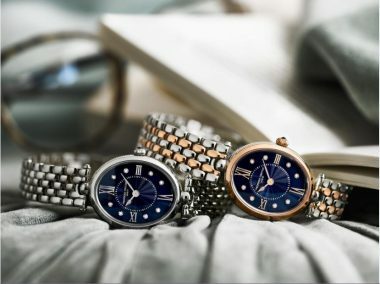 “The major changes in the watch and jewelry industry are affecting producers, retailers, the media and trade fair operators alike. Therefore, we can only tackle and master them together,” is his credo. The initial changes have already been implemented at Baselworld 2019. These included: modern communication strategies, strengthening the jewelry sector, expanding the gastronomic offerings at the show and coordinating the dates of Baselworld and SIHH from next year. As indicated at yesterday's press conference, Mr. Melikoff reiterated that this was only the beginning of the comprehensive transformation that the show will undergo from 2020 onwards.